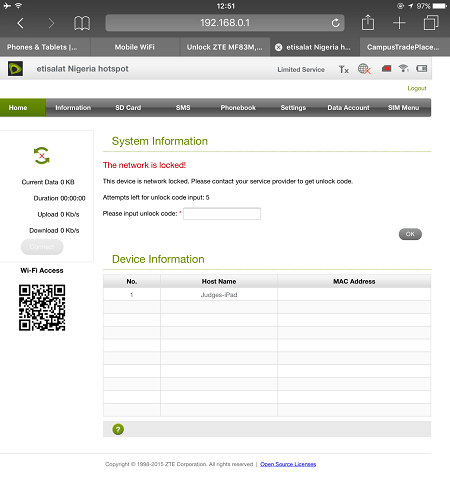 Home Unlock ZTE How to Unlock ZTE MF83m WiFI MiFi Router? How to Unlock ZTE MF83m WiFI MiFi Router? ZTE MF83m is a 3G HSPA supported MiFi pocket router. It measures 102 x 50 x 13.7 mm. 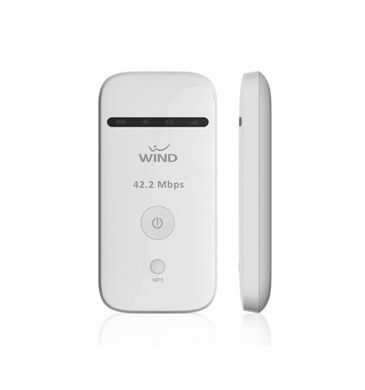 The device features download speed up to 42 Mbps and upload speed limit is 11 Mbps. It supports HSPA + / HSUPA / HSDPA / UMTS 2100/1900/850 (900) MHz and EDGE / GPRS / GSM 850/900/1800 / 1900MHz operating frequency bands. USB 2.0 supported MF83m comes with a micro SD slot (up to 32GB storage). It can be operated on Win 7 / Vista / XP, and Mac OS. If you have got a ZTE MF83m, which is locked to a particular network, then you can not use any another SIM card, without unlocking it. Once the device is unlocked, you are free to choose any carrier SIM card. 1. Switch off the MF83m mobile WiFi pocket router. 7. Login to MF83m with admin. 8. It will ask you for 16-digit/character NCK. 9. Enter the correct code which is provided by routerunlock.com to make it network free. 10. Once the device accepts the code, it will be unlocked forever to use with any compatible band SIM cards. Previous articleHow to Unlock Idea Huawei E3531 (E3531i-2) Dongle of India? Next articleHow to Unlock ZTE Grand X Max 2? My mf83m showing limited services what can i do ? If after unlock it shows limited service then reset it once, it will start working.